According to the Baker Illustrated Bible, the biblical book that bills itself as the instruction manual is Proverbs, which is presented in the form of parental instruction to a child. God offers everyone knowledge to guide how one should live, but if spurned, the offer may be withdrawn. The people most likely to gain knowledge are those who are willing to listen. It is a sign of strength, not weakness, to pay attention to what others have to say. People who are eager to listen continue to learn and grow throughout their lives. If we refuse to become set in our ways, we can always expand the limits of our knowledge. 1. Pay attention! This is not a boring proverb. Get your heart and ears into it. The desire for instruction and the willingness to hear correction are marks of greatness and virtue. Very few apply themselves to learn knowledge and wisdom. They are more interested in entertainment and fun. Study sounds far too much like work. 2. There are great differences among men. Some are winners; some are losers. Some are wise; some are foolish. Men make choices that either cost them wisdom or gain them wisdom. A noble and virtuous man will sacrifice other things in life in order to pursue wisdom, but a fool would rather hear himself talk. “The discerning heart seeks knowledge, but the mouth of a fool feeds on folly.” – Proverbs 15:14; “Sensible people keep their eyes glued on wisdom, but a fool’s eyes wander to the ends of the earth.” – Proverbs 17:24. 3. The man who seeks wisdom will have a happy and successful life, for he rightly understands the world, makes profitable decisions, and avoids pain and trouble. But the fool or scorner, arrogant in his own ignorance, goes on and is punished by his confused thinking and horrible decision-making. “Those who bring trouble on their families inherit the wind. The fool will be a servant to the wise.” – Proverbs 11:29; “A person with good sense is respected; a treacherous person is headed for destruction.” – Proverbs 13:15. 4. There are 1,440 minutes in every day. How many do you seek wisdom? How many do you pursue instruction? The average Ghanaian watches television 3-4 hours, or about 210 minutes, every day – and not a single minute of it teaches wisdom. But television is not the only culprit in a pleasure-mad generation (II Tim 3:1-4). What about idle posting on social media, texting, tweeting, movies, magazines, music, sports, hobbies, lawn care, concerts, video games, and Internet surfing, among many more? When a person chooses to exalt these activities, he forfeits the advice given by Solomon in this proverb, for the 1,440 minutes in a day quickly rush down the drain and are lost. 5. Only a few great men and women will apply themselves to the pursuit of wisdom and reap the wonderful results. “Enter through the narrow gate. For wide is the gate and broad is the road that leads to destruction, and many enter through it. But small is the gate and narrow the road that leads to life, and only a few find it.” – Matthew 7:13-14. Can you focus on the goal and put forth the effort to learn true wisdom each day? 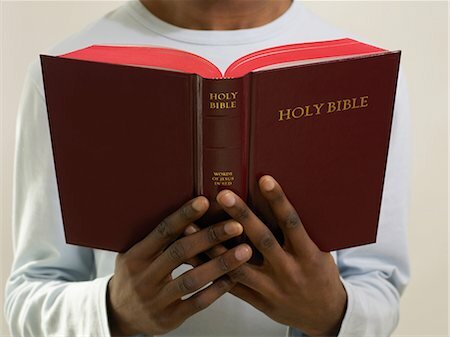 Do you read your Bible daily? Do you attend a Bible-preaching church as often as possible? Do you seek advice from wise and sober counselors before making major decisions? “For lack of guidance a nation falls, but victory is won through many advisers.” – Proverbs 11:14. Pay attention to this proverb! but delight in airing their own opinions.” – Proverbs 18:2. So Solomon emphasized the necessity of applying yourself to obtain wisdom. “My son, pay attention to my wisdom, turn your ear to my words of insight, that you may maintain discretion and your lips may preserve knowledge.” – Proverbs 5:1-2; “Listen, my son, and be wise, and set your heart on the right path” – Proverbs 23:19,23. How attentive are your heart and ears after hearing the instruction and knowledge of this proverb? What changes will you make today? Have you read God’s word for it to instruct you and increase your knowledge? Have you asked your parents’ for advice in a matter bothering you? Can you remember what was preached last Sunday? Instruction and knowledge are precious gifts; make good use of them, for life without them is painful. And keep it still awake. Which makes the wounded whole. Charles Wesley, 1707 – 1788. Please continue to join us on Asempa 94.7 FM – Sundays 5.30 am., Sunny 88.7 FM – Tuesdays 5:30 am; and Uniiq 95.7 Fm – Saturdays 7:30 pm; for our Radio Bible Study as well as Sunny FM 88.7 FM every Sunday at 3:30 pm. for Hymn and their Stories.